Located in Nolita, 168 Bowery is a unique event space rich in history and character. 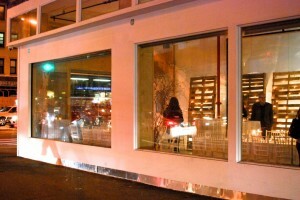 The space epitomizes the neighborhood’s charm and distinctive personality. The open floor plan, large windows and neutral white walls make it the perfect setup for an interactive guest experience, pop-up shop, or private event. The building’s double-sided facade offers prominent street visibility at the corner of Bowery and Kenmare and can be branded to maximize exposure. 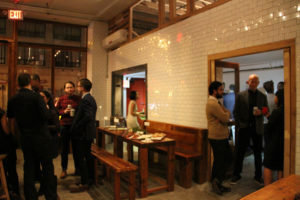 With Nom Wah Nolita now in the kitchen portion of 168 Bowery, the event space now has a built-in caterer. This restaurant is noted for their delicious dim sum and dumplings, and the restaurant team is able to work with each event concept and produce customized menu options to perfectly pair with any idea. Need a place unlike anything else for your special event? We’ve got you covered with our corner event space. Use the full space and include the kitchen for your bar, or just take half to have a great time for parties, small performances or even a sample sale. 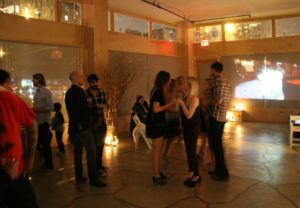 Who doesn’t want to party in an old subway station from the 60’s? We’ve been doing this for years, and can take care of whatever you need. Want to be seen? We’ve got you covered. With over 200,000 cars driving past our space everyday, you can rent out just our windows to advertise whatever you’d like to promote. You’ve got over 70 feet to showcase whatever new idea or product needs to be shared with the world.